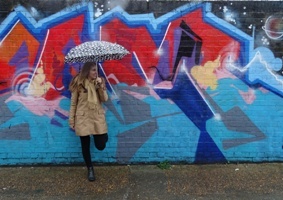 You might also be interested in these Hong Kong Travel Tips. 1 Two days in Hong Kong: Where to stay? 5 Two days in Hong Kong: Where to Eat? Two days in Hong Kong: Where to stay? Overlooking the Victoria Harbour, this 3-star hotel offers modern rooms with wood floors, city views, flat-screen TVs and free Wi-Fi. Amenities include a colourful restaurant and bar. Situated only 4km from Victoria Harbour, this 4-star hotel has wood-furnished rooms complete with 24/7 room service. 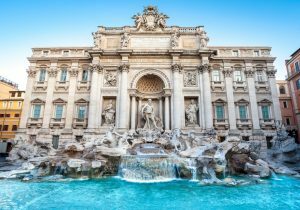 Amenities include an Italian restaurant and a bar, gym and pool. This 4-star hotel is only 500 meters from the harbour and offers elegant rooms with city views and free Wi-Fi. Along with a free breakfast buffet, there is also a dim sum restaurant. 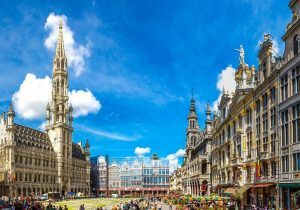 A luxurious 5-star hotel 6 minutes away from the train station and offering complimentary bike rentals and yoga classes. There is also a trendy restaurant, café and terrace bar. Located 16km from Ocean Park, the 5-star Ritz Carlton comprises of lavish rooms with city views. Amenities include two bars, three restaurants, a ballroom, spa, gym and an indoor pool. 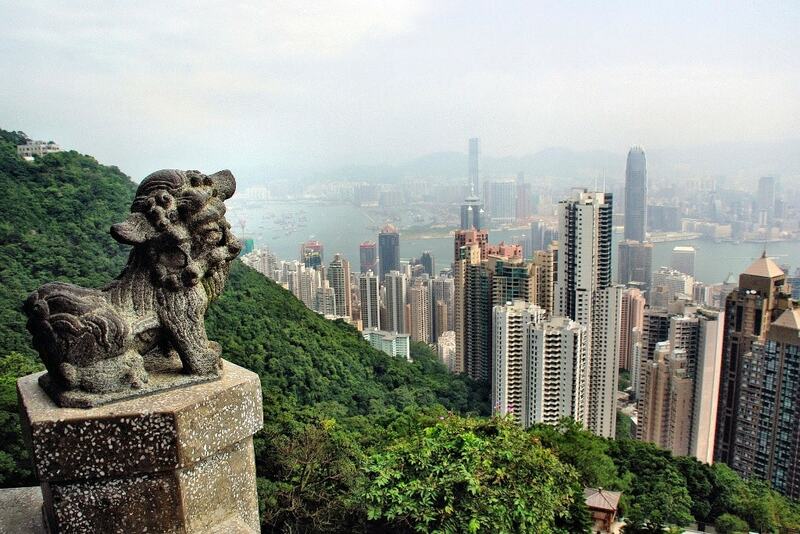 Also known as Victoria Peak, this mountain sits on the west side of the city and offers a simply unmissable and breathtaking panoramic view of Hong Kong and its harbour. 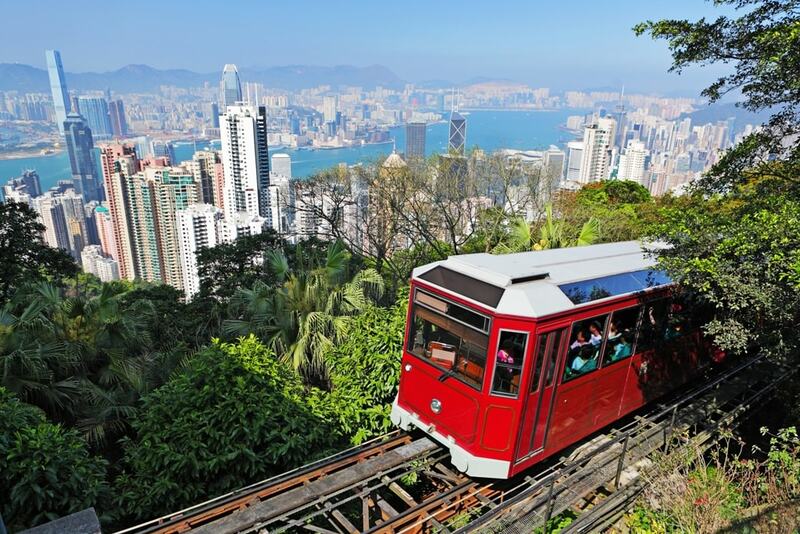 You can take The Peak Tram for a quick and scenic way to arrive at the top. Built in 1847, this temple was built as a tribute to the God of Literature and God of War. 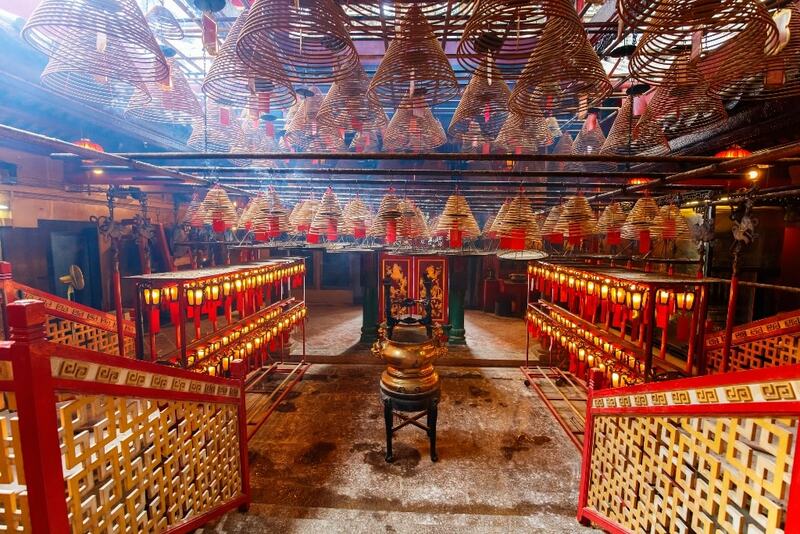 It is the largest Man Mo temple in Hong Kong and the calm atmosphere of the complex makes for a pleasant contrast to the bustling financial district nearby. This expansive shopping mall is located in Tsim Sha Tsui and is made up of three other shopping malls: Ocean Terminal, Ocean Centre and Gateway Arcade. It is Hong Kong’s largest and features more than 700 shops, 50 food outlets and a couple of cinemas overfour levels. 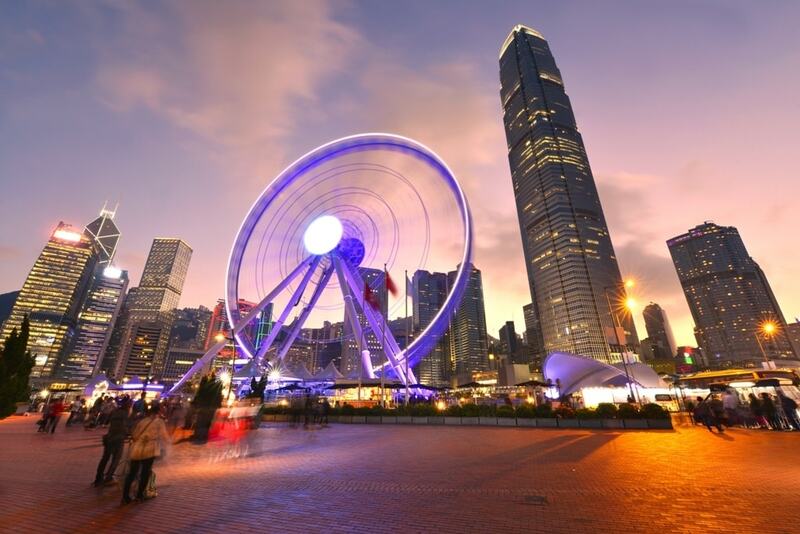 Measuring a phenomenal 60-meters tall and overlooking Victoria Harbour, this observation wheel boasts stunning views of the city and water during the day and night. It has 42 gondolas that comfortable seat eight people and comes equipped with high-speed Wi-Fi. Witness the Symphony of Lights, a free and spectacular light and sound show which is the largest of its kind in the world. 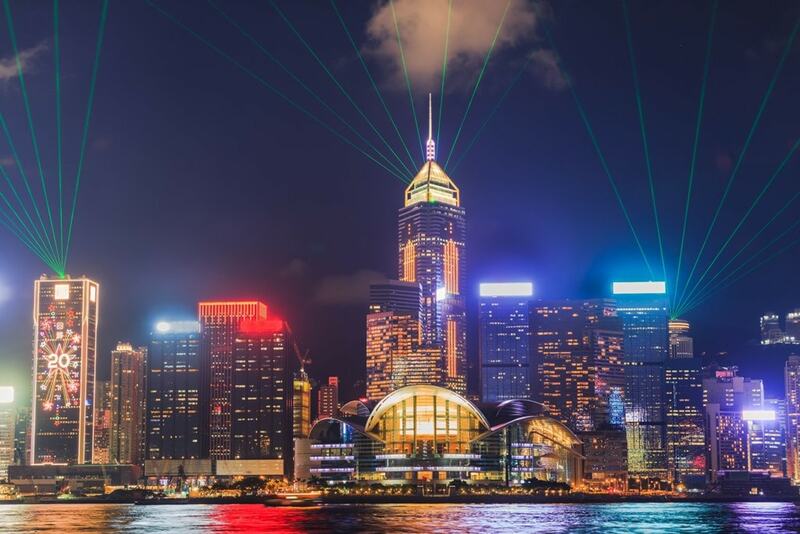 It takes place at Victoria Harbour daily and involves 40 buildings, colored lights, laser beams and search lights to celebrate the diversity and spirit of Hong Kong. This marine mammal park, theme park and oceanarium provides endless fun for the whole family. It offers marine shows, thrilling rides and impressive attractions including the popular Sea Jelly Spectacular, Abyss Turbo Drop and Mine Train rollercoaster. 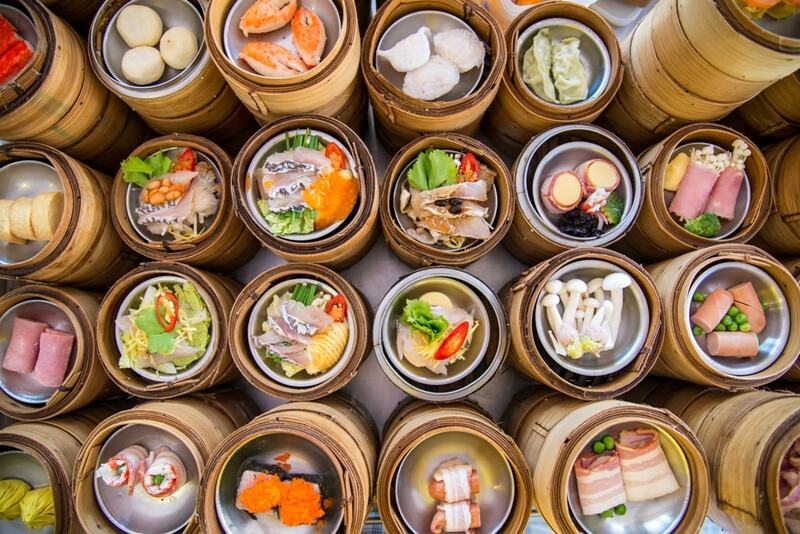 A visit to Hong Kong is not complete without tasting its famed dim sum. 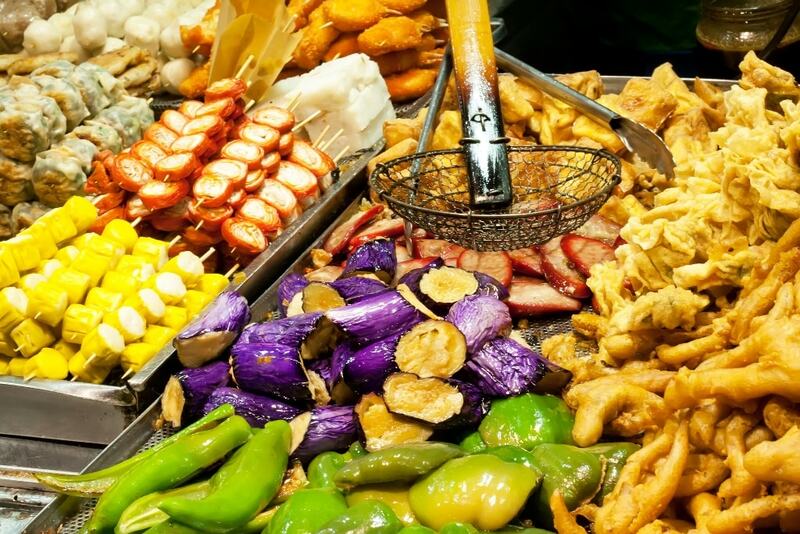 This Chinese cuisine consists of hot, bite-sized portions of food served in small baskets and shared around the table. The most popular dishes are dumplings, buns, rolled rice noodles and chicken feet. The Temple Street Market is a popular and vibrant street bazaar where you can find opera singers, fortune tellers and traders selling their wares. 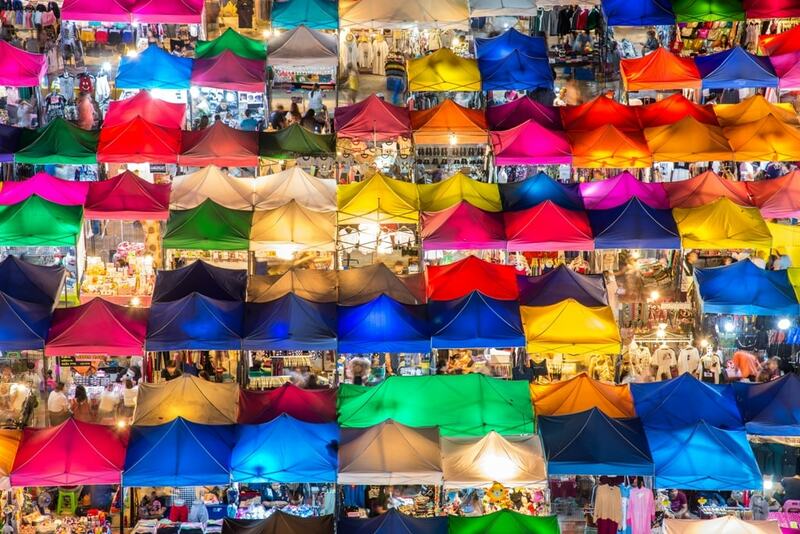 Ladies Market is also a good option to experience the hustle of a Hong Kong bazaar;all kinds of trinkets and goods such as clothes, souvenirs and street food fill a one-kilometer street. 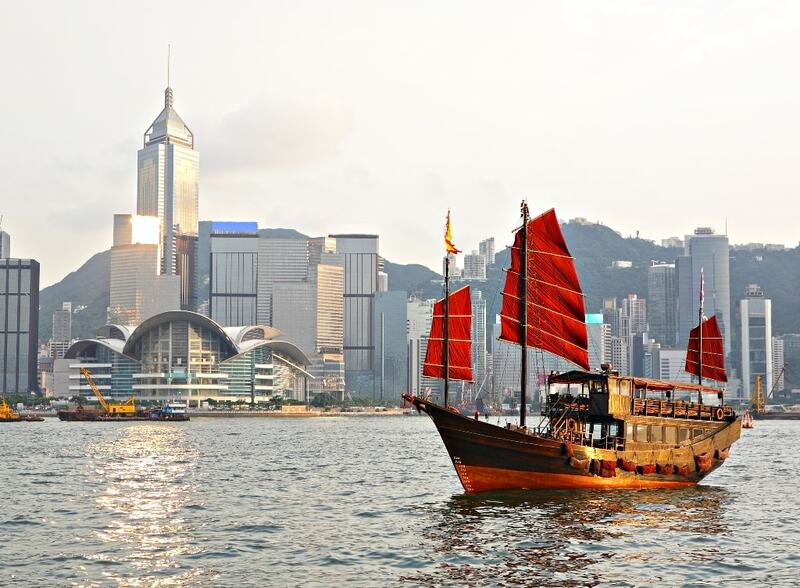 Experience Hong Kong’s beautiful skyline on the harbour with an evening cruise. The dazzling city lights and bright colors reflecting on the water make for a memorable experience and can be enjoyed with either the whole family or a significant other. Two days in Hong Kong: Where to Eat? Head to the Four Seasons Hotel for a fine-dining experience at Lung King Heen. This Michelin-starred restaurant serves delectable Cantonese food in a chic atmosphere. This restaurant serves delicious Italian food and cocktails in a sleek and industrial setting, complete with a terrace. The food portions are generous and there is an all-you-can-eat antipasti buffet. This popular joint serves Chinese and Asian fusion dishes in a stylish setting. The food is not only creative and tasty but the service is just as excellent. Located on the 102nd floor of the Ritz-Carlton hotel, this highly-rated, Michelin-starred restaurant serves traditional dim sum as well as Cantonese food in an elegant setting. For an adventurous and playful culinary experience, head to Little Bao, a modern diner which serves mouth-watering Asian hamburgers as well as a variety of authentic Chinese food. Known as the happiest place on earth, Disneyland is a must-experience for the whole family. 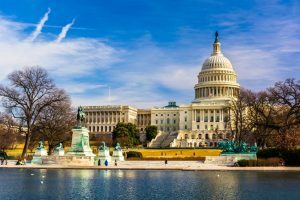 It features seven areas complete with exciting rides, theatrical shows and costumed characters. It is located at Penny’s Bay on Lantau Island and is easily accessible via an extensive transportation network. 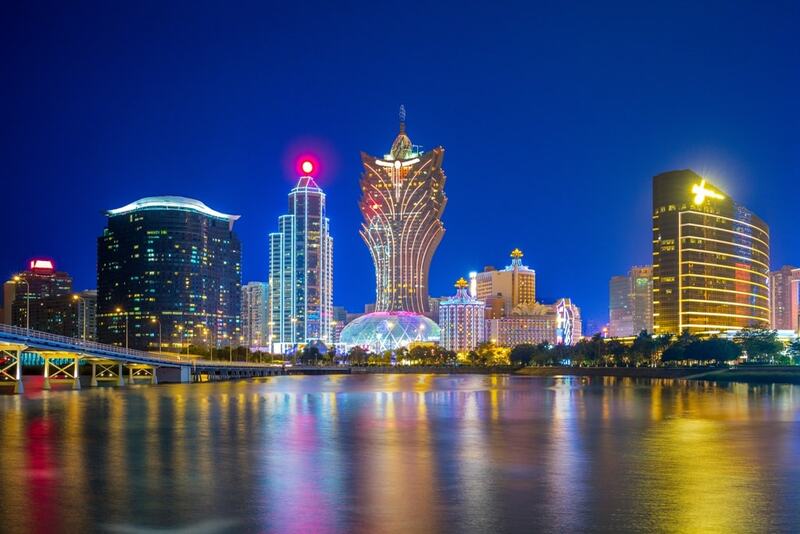 Also known as the ‘Vegas of China,’ the luxurious nearby city of Macau is famed for its casinos and malls. 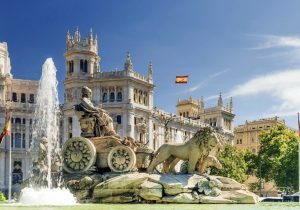 It was Portuguese territory until the late 90’s and reflects a mix of different cultures. Be sure to visit the Macau Tower which stands at 338-meters tall and offers sensational views of the city. 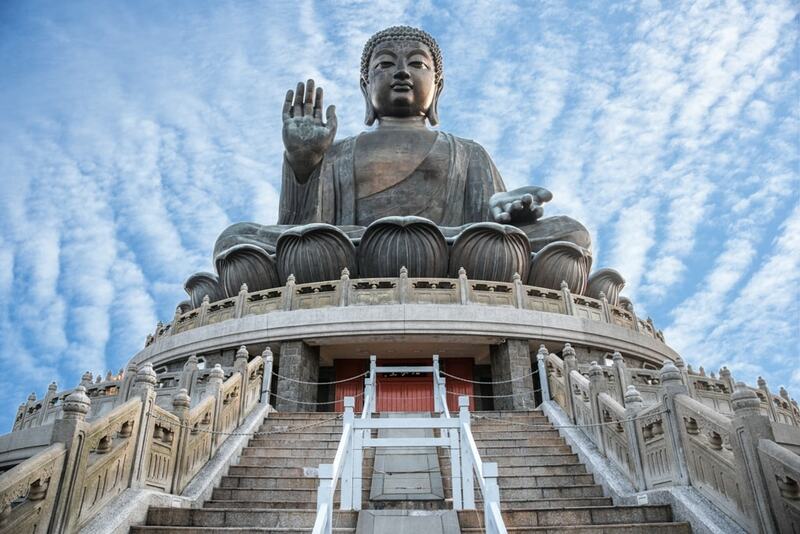 The largest island in Hong Kong, Lantau is home to Disneyland, Po Lin Monastery and the 34-meter bronze Tian Tan Buddha statue, which sits on top of a hill. It is a mountainous island; its very own Lantau Peak measures 934-meters high and is climbed by hikers for its famous sunrises. 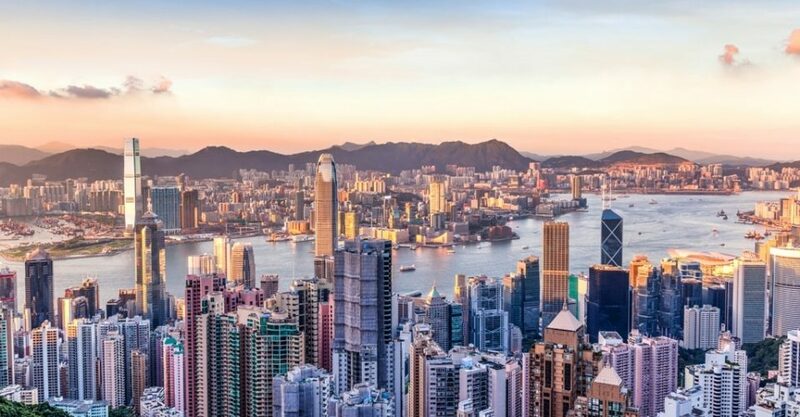 Hong Kong is a city filled to the brim with things to eat, see and do and is a striking reflection of a city influenced by cultures from the East and West. It is a large melting pot of delicious eats, vibrant markets and malls and unbeatable city and harbour views, retaining its crown as a premier travel destination in Asia. 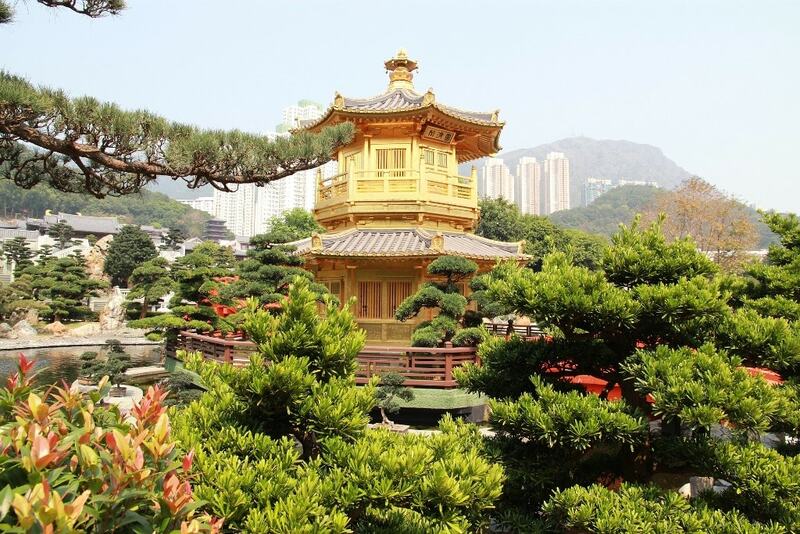 Do you have anything else to add on this 2-day Hong Kong itinerary? Did you like the post? Pin it!